Quietfire Creations: Paper Creations Magazine features Quietfire Design! 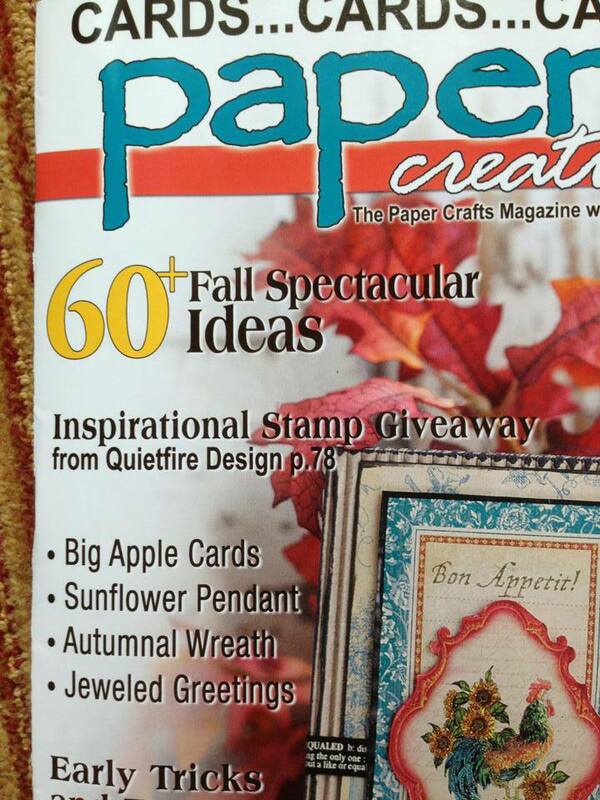 Paper Creations Magazine features Quietfire Design! We'd like to extend a huge thanks to Paper Creations magazine for publishing four cards (spread over four pages) created by our designers using Quietfire Design rubber stamps! Congratulations to Wanda Hentges and Holly Eastabrook for their inspiring contributions. 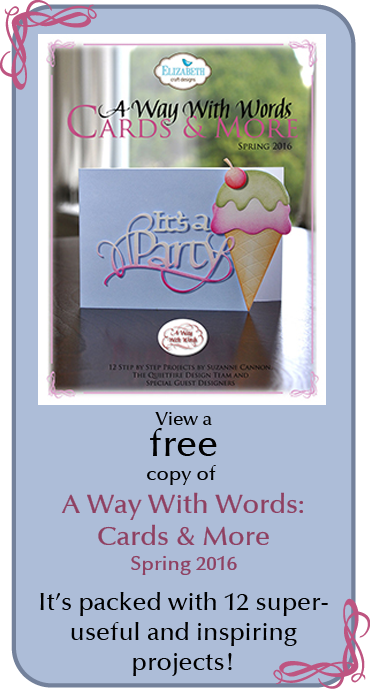 Pick up your copy to see all the yummy creations complete with instructions. 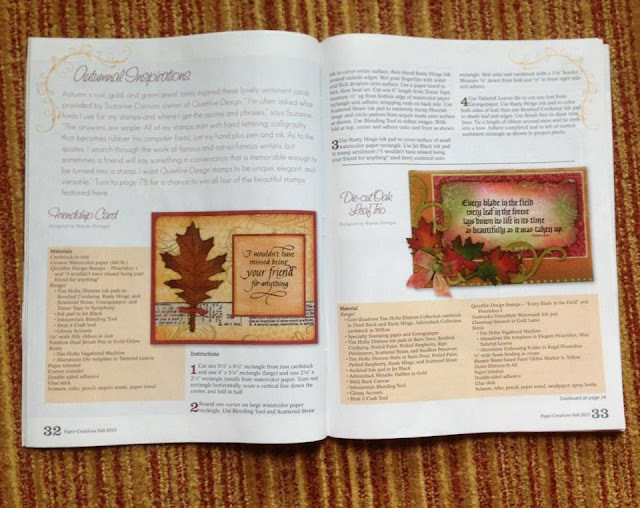 Make sure you enter to win the stamps used on the cards - the information is on page 78. Congrats ladies :) Can't wait to see the cards. That is excellent news! Congrats to Quietfire and to Wanda and Holly! Congratulations!!! I would love to win the magazine. Congratulations ladies on 4 amazing pages of inspirational artwork! Quietfire Design and Paper Creations - great combo. Congrats Quietfire Creations, love your products! Congratulations! Would LOVE a copy! Congrats and would love to win. A great magazine. Woohoo! Well deserved recognition. Congrats to Suzanne & crew!! I've looked everywhere in my usual places for this issue, and none of my usual places has it! I'd love to see this one up close and personal! WOW so awesome such gorgeous creations..congrats!!! Magazines are always great for inspiration. Congratulations to you and your team. Wendy! You are the winner! Congratulations! Thanks, Susanne. Nice to be lucky! Will you just send it t my address? Oh what a great spread - awesome cards - congratulations, but then you make an exquisite product, so it is only right that it garners such attention. Congratulations! congrats. now more of the world will know, what we already do, how great your stamps and stuff are. wow!! how exciting to be published! i would love to win a copy! Quietfire Designs are my favorite, go-to stamps. I love calligraphy! The entries to win this magazine are now closed. Please try again next time!